It’s REAL! ‘The Ring’ VS ‘The Grudge’ in ‘Sadako vs Kayako’ teaser trailer! Philly’s 1st Electronic Music & Gaming event is Feb. 27th… BOSS WAVE! Defenders Episode 4: The Fury of Incubus!! Chapter 9!! Incubus stares into the cloud of ash and smoke with a satisfied grin. He is relieved to have completed what he set out to do. The accused murderer of his family is dead. For a moment, he recalls that day when he lost everyone he loved. A dark figure came to him and told him that the murderer of his loved ones was a Defender. Driven by anger, Incubus believed the person. He trained extensively, waiting for the day when he could avenge his family. That has come and Incubus has won. He doesn’t care if Guardian was the Defender he was looking for or not. Someone had to pay. 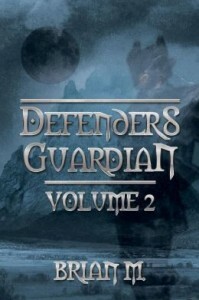 Guardian was a Defender and that’s all that mattered. More of the dust cloud settles. Incubus descends to the ground. He has to make sure that he succeeded in eliminating Guardian. This bloke’s a slippery one, he thought as he touched the ground, I better keep these pillars up just in case. He scans the area for any sign of Guardian, living or burnt to ash. A light breeze pushes more of the dust cloud aside. Incubus sneers at a welcome sight. On the ground lies Guardian’s hat. With a snug grin, Incubus steps to the hat and picks it up. He laughs harshly in his throat and says, “Well, look at that. Roasted him until there is nothing left.” Incubus laughs again and puts the hat on. “Not a bad fit if I do say so mysel—” he started to say before being punched in the chest by something and sent bowling across the ground. The force knocks the hat from his head. “Whew, that was close.” Recognizing the voice right away, Incubus jumps to his feet and stares wide-eyed into the cloud of dust and ash. A gloved hand reaches down and takes up the hat. A gust of wind brushes more of the dust cloud aside, revealing Guardian just as he places his hat back on his head. “Another second later and I would’ve been roasted,” he says. “Or so it seemed,” Guardian shot back with a snide grin. “You wanted me,” Guardian said, interrupting and then finishing Incubus’ sentence. “You had a chance to finish me off but you blew it, all because you had to be arrogant.” Guardian casts a cold glare at the Aussie warrior, reading the stunned expression on his face. It is then that Incubus’ own words come back to haunt him. He had said the same to Guardian not too long ago. Guardian ruined his chance to finish him off at the volcano and now Incubus has just made the same mistake. Realizing it now, he should’ve finished Guardian the moment he had him trapped within his fire pillars and when he attacked the Defender with his barrage of Meteor Flames. Incubus squandered a chance to avenge his family. His ire grew the more he thought about it. He cannot let Guardian win. He must defeat him. Incubus glances at the flame pillars he has kept standing. If he is to have any chance of winning and getting his revenge, these pillars will be his advantage. With them in place, he still has Guardian in restricted space. Incubus looks back at Guardian and flashes a grin. “I don’t know how you avoided my last attack but as you can see it was all in vain,” he said. “You don’t say,” said Guardian with a relaxed gaze. “That a fact,” Guardian replied calmly. He gazes intensely at Incubus yet his eyes remained relaxed. “Then how about we even things up,” he says, raising one arm up. Suddenly, four massive bolts of lightning shoot down from the sky, destroying the pillars of flame before quickly vanishing. The bolts leave behind a strong scent of electrified air. Incubus stares wide-eyed at Guardian. He then looks at the empty spaces where his pillars of flame once burned brightly. “What the hell?” Incubus said, trying to figure out what happened. “What?! There’s no way. I saw you get struck,” Incubus points out. Anger swelled in Incubus. He had been played for a fool. Guardian knew the entire time about the thunderstorm’s approach to the island. Worse, he was so focused on defeating Guardian that he forgot about it. Now he is the one who gave Guardian exactly what he needed. A furious yell rips from his lungs. Fire swirls around him violently as Incubus’ anger explodes. “That’s a mistake I don’t intend to make twice!” Incubus yelled. “You’re done, Guardian!” He takes off like a rocket. Flames trail behind him like ribbons. Grinding his teeth, Incubus reels back a fist as he burns Guardian with ferocious eyes. Guardian stares back and smiles. “Now the battle will end,” Edenia says.